We don't know what this means, but we will be working hard to find out. Eduardo will be proud of us. We thought the only thing off at this house was our crazy old bat. Any suggestions? I agree with Suzuki. BOL! Crikey what is that thing? Hope you solve the mystery. Uh oh. It could be internets or pooter problems or maybe the dreaded "I'm busy." Ooh that looks kinda bad. Ooooh, I'm not sure what it is but if you stare at it for a long time it starts to move. Kind of creepy. What's going on at your house? Do you need me to come help figure things out? 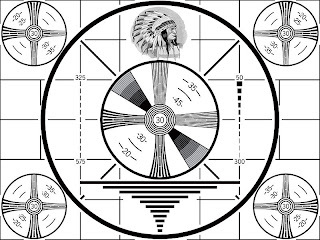 Don't worry Moco we are sure you will be back on the air in to time..
We hope you're back in business soon! Did Grammie ruin the computer? Hmmmm... I don't know what is happening but sure I hope you discover it soon! What is that photo? Looks very mysterious to me...I hope you managed to find out what it is! That looks vaguely familiar, so LS says. But you can't rely on her lousy memory to help you out. Hope you have that figured out soon. We're curious too. there's something weird going on. we hope you can figure it out. good luck with that. uh oh, do you need me to come over in my detective suit and figure it out?? Don't know either! But you are sure a sweetie! Wow, that is like a mystery, sort of like that show on TV, LOST, that my mom is obsessed with. Hi Moco, Skye has just received the pay it forward package. Have you received yours yet? I am sorry that it took so long. That doesn't sound good! Good luck! I have been moping 'cos she has been away, and she has something weird called Jet Lag. You're off the air? What does that mean??? I hope you can figure it out! Looks like something that belongs on the TV show Lost. Good luck with the puzzle. Uh oh. That doesn't look like a good thing to me. Maybe it's just a station break? Still waiting for you to come online.. hehe We miss your antics.. I'm with the OP Pack...but do tell! Just dropping in to wish you all a happy weekend! Hope you'll be back on air soon! Hi Moco, Thank you for letting me know that you have received the package. I hope you will like the things I have sent. Sorry that it had taken so long to arrive. We hope everything is okay with your humans.... we're a little worried in whippet land. I, Gus am entered in my first official trial on Saturday. Wish me luck.. I hope you come back soon. I miss you a lot. BTW, how do get away with referrin' to your two legged as a COB???? We'd be grounded...or doesn't she know????????? HEH HEH...you guys are bad!!! Good luck figurin' out what that thingie is! Hi Moco! We miss you and Grammie. Oh no! Still off the air?? ?